The journey of my life is over now and I’m gonna miss my friends very much. It feels not like any kind of friendship with those people, they are family now. I’ve spend the last six months with them and out of the blue I need to survive without my new family. I enjoyed every minute of this trip and I recommend it to all students of my age. It was amazing. Ever dreamt about clear turquoise waters and beaches whiter than your bleached Colgate smile? I’ve been to this beach the other day. Although the weather wasn’t as the postcards promise you to think, it truly was magical. When we took the bus to Hamilton we decided, out of the blue, to take a transfer ticket to the first beach. The bus came to a sudden halt reaching the neon pink pole, which, in this island, resembles a bus stop. The buslady then told us to walk through the woods, which we did… It was magical. On the 16th of February, me and my amazing group left Playa Larga. We had an amazing breakfast, with eggs, fruits, juice, coffee, milk, and lots of bread with honey. On our way to the most touristic city of Cuba, Havana, we stopped in a crocodile farm, and, of course, bought some ice cream. We had three days left in Cuba, and some money left to spend. 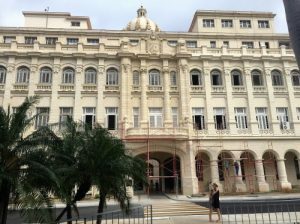 So, we tried our best to find a hostel, which required walking around Havana with our super heavy backpacks. But then, on our way to find a nice place, we met this very nice lady, that said she could helped us find a good, cheap hostel to stay. 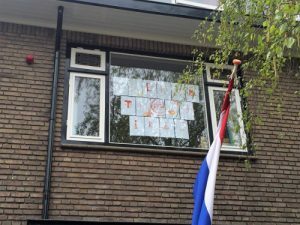 She was very excited about the idea of a Brazilian, a Belgian and six Dutch students traveling together around Cuba with a 30 CUC budget for eight days. So she leaded us to our way to a very nice (but not that cheap) hostel. And that is where we were going to stay. Our own journey has started! 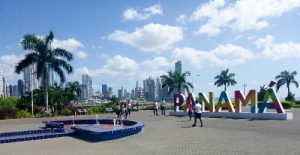 The exciting eight days travelling through Panama have started! Eight days, eight people, 20 dollar budget per day, per person, one million ideas, one starting point and one finishing line. We left Regina Maris, stepped on Porto Bello in the morning of the 14th of January. Planning not to plan too much, my group had decided we wanted to travel to Panama City and go to Panama Jazz Festival, a promising festival we had read about on the “Lonely Planet”, the most desired touristic guide that ever stepped on Earth. We’ve been away for a more than a month now. 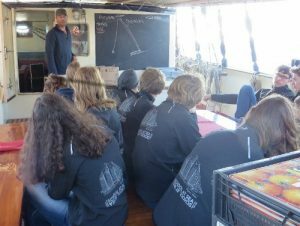 When standing on deck, with flip flops, tshirt, shorts and sun glasses, it feels like a distant memory, those first few cold, hard, rough days, after Ijmuiden. The days in which everything went around getting up for watch, living through the seasickness and falling back to deep sleep again. 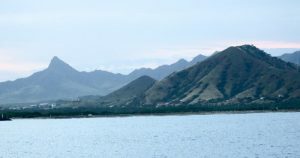 S. Vincente is a very beautiful island and we had great moments there even though we weren’t there for long. in the morning, most sassers had to do one test and another in the afternoon, after lunch. Because it was really good weather, there was a lot of noise and we had worked well we were blessed with the gift of not having to make the second test and going to the beach. Our first official day started with breakfast at 9am. We had bread, eggs, cereal, milk, yoghurt… After that we had free time, and could do whatever we wanted till we decided to sleep. 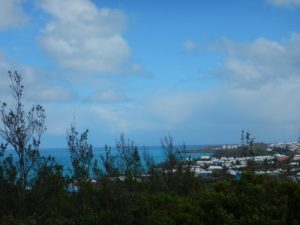 It was a nice day, we were still getting to know each other, but Regina Maris already feels like home. The organic trade meets at the organic exhibition in Nuremberg from 15 – 18 February 2017. 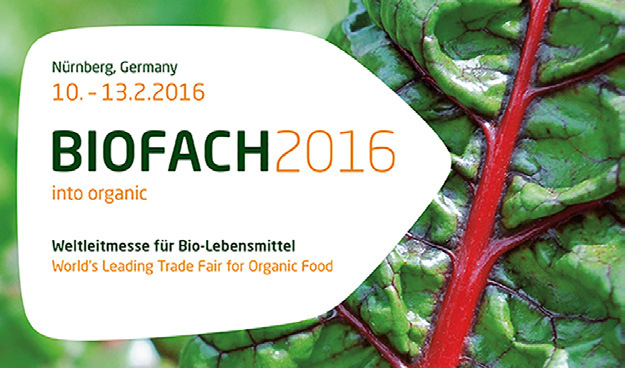 More than 2,300 exhibitors from the national and international organic sector are expected at BIOFACH 2017. The perfect opportunity for visiting professionals to meet organic producers from the organic market and be inspired by the sector’s latest trends. Enter the world of organic products and taste, too – into organic. “Ms. 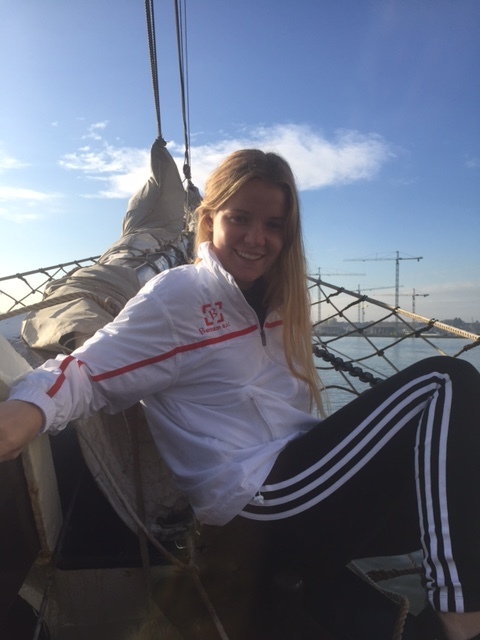 Iris Molier is Bernam’s ambassador during her trip sailing around the world with Regina Maris. 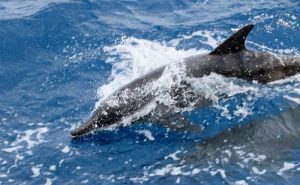 Iris’ will of discovering the world trough its seas in order both to learn and living an adventure, fully represents the vision of our company! The Regina Maris sailed on Friday from IJmuiden, the Netherlands. After some troubles, for example: there was a rope in the propeller and there were some other last minute repairs on the mechanic steering system, she finally sailed at 18.30hrs, on Friday 21st October with 3Bft from IJmuiden. The Regina was escorted by 3 big tugging vessels, they were blowing their horns with full power! The Regina sailed into the night, because evening was falling and there was a light rain drizzling on all the spectators and on the crew. Iris left with a lot of mixed emotions, she said goodbye to her friends and family. But when the Regina went onto the sea, we saw her dancing on deck, she was saying goodbye in a cheerful mood! At the moment, Monday 24th Oct at 18.15hrs the Regina is on the Atlantic ocean and just passed Guernsey and Jersey, heading towards the French coast, close to Brest, she is making good speed! The first destination is Tenerife, were the Regina expects to drop anchor in appr. 2,5 weeks.